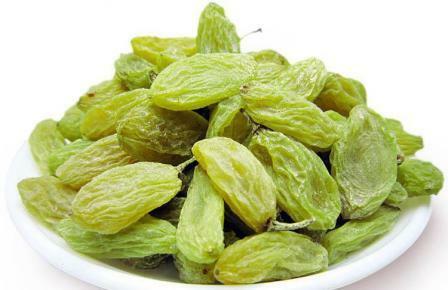 Product categories of Green Raisin, we are specialized manufacturers from China, Healthy Food Snack Green Raisin, Dried Green Raisin suppliers/factory, wholesale high-quality products of Green Raisin R & D and manufacturing, we have the perfect after-sales service and technical support. Look forward to your cooperation! Origin in Xinjiang, the largest origin of raisins in China. Raisins can contain up to 72% sugars by weight, most of which is fructose and glucose. They also contain about 3% protein and 3.7%–6.8% dietary fiber. Raisins like prunes and apricots are also high in certain antioxidants, but have a lower Vitamin C content than fresh grapes. Raisins are low in sodium and contain no cholesterol. Among individuals with mild increases in blood pressure, the routine consumption of raisins (three times a day) may significantly lower blood pressure, especially when compared to eating other common snacks.